We are pleased to introduce ourselves as an established agency in the field of Telecom Passive Infra Operation & Maintenance, Civil Tower Foundation Works, OFC Works and Electrical Works. 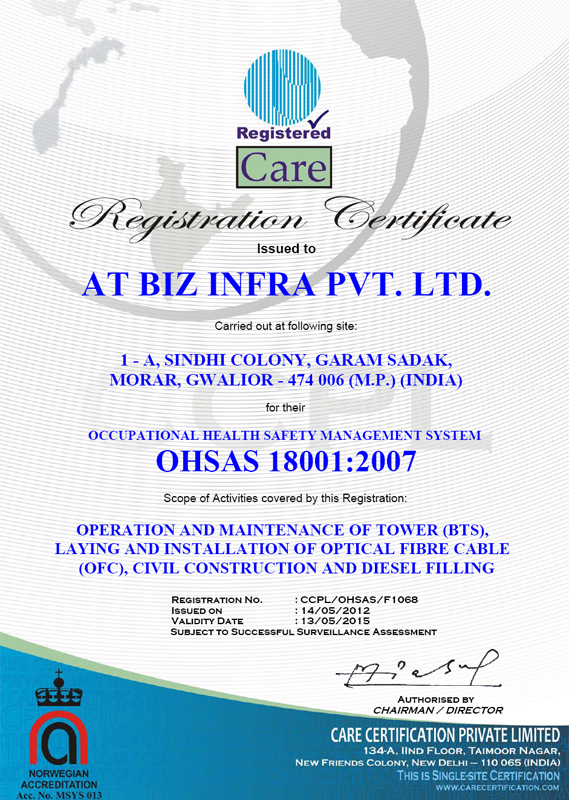 We started our operation in the Telecom field in the year 2009. In this short span we have gained experience of an operational portfolio of diverse abilities. Our team strength enable us to offer expertise and efficiency to our customers in different geographies and in all facets of telecom business. Our efficiency in the field and growth can be seen in our Growth that we have earned Satisfying deliveries to our Principal Businesses. 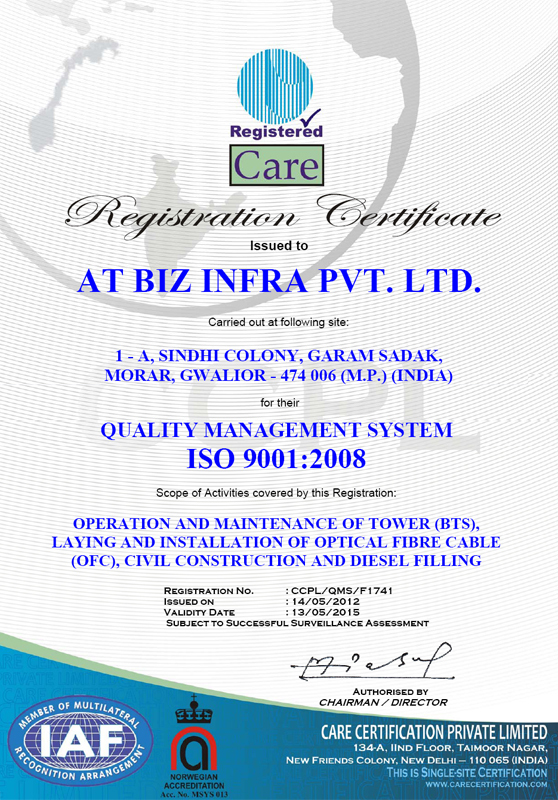 We are ISO 9001:2008 certified company in Quality Management System and OHSAS 18001:2007 certified in occupational health safety management system.